Parents scratching their heads over why more teens are getting lice these days may have an answer in high schoolers’ favorite pastime: snapping selfies. 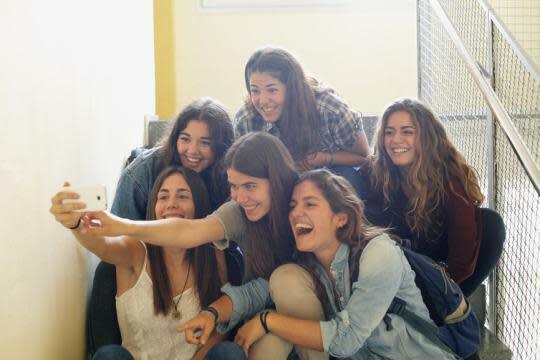 Selfies aren’t responsible because teens’ heads aren’t close together long enough for bugs to cross over, she insists about the problem, which the Centers for Disease Control and Prevention estimates affects 6 million to 12 million children 3 to 11 years of age in the U.S. each year. “Kids are hanging out together in close contact all the time anyway,” she notes, whether they’re taking photos of themselves or not. “Lice can move 9 inches in a minute’s time,” Shepherd explains. “They don’t jump or fly, but they can make the transition from person to person quickly” crawling one by one or in harems. “They’re transmitted via head-to-head contact,” Shepherd explains. “Kids curl up on couches together and sit head-to-head looking at videos on someone’s phone. That’s a lot more contact than you get taking a selfie.” There’s a greater chance of kids’ hair overlapping and bugs skittering between them when teens are sitting smushed closely in a car or side-by-side at the movies, she adds.